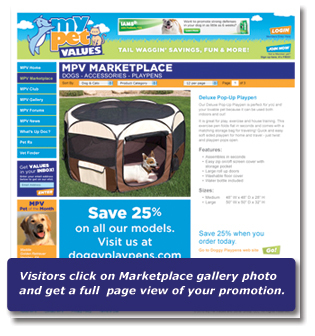 In addition to your catalog advertisment, the Best in Show package includes ad space in our online MPV Marketplace. 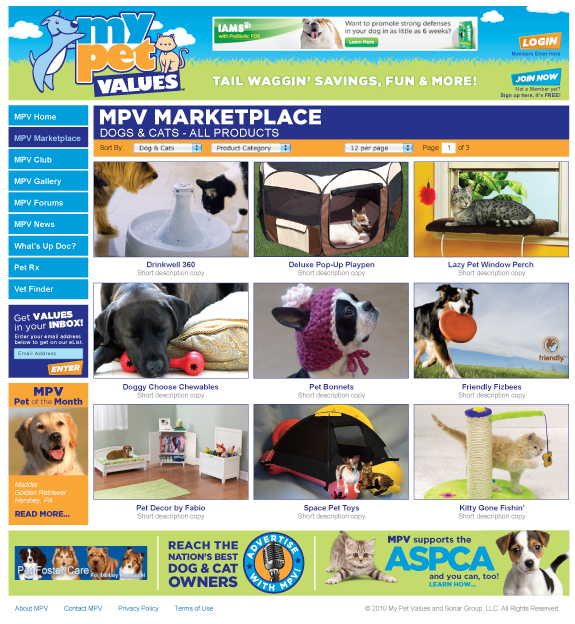 The MPV Marketplace is part of mypetvalues.com – a comprehensive pet web portal. 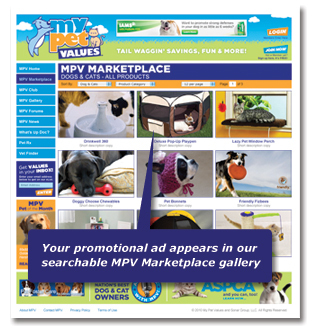 Visitors to the site are immediately encouraged to visit the MPV Marketplace with rotating featured values appearing on the home page. 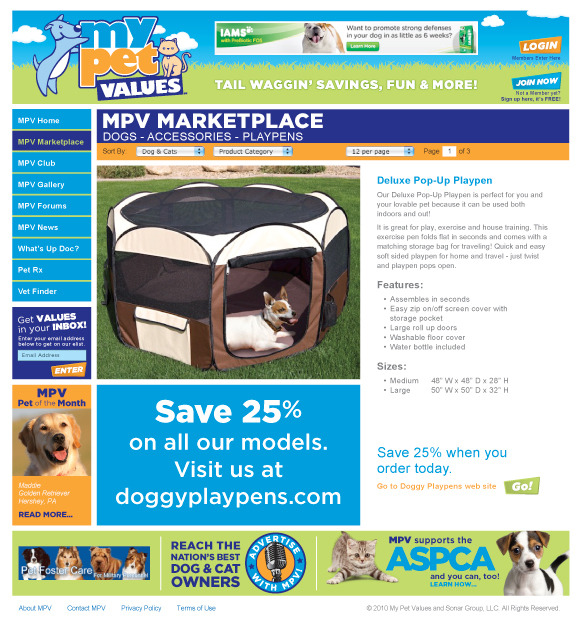 On the MPV Marketplace page, dog & cat owners will find a colorful easy to navigate market of the promotions – including yours. By clicking on your promotion, you'll bring up a full dedicated page of your product or service with detailed description and pictures, embed video, links to your site and shopping cart, online coupons and more. You’ll get detailed web reports of visits to your Marketplace ad so you can see measurable results.